The quality of the services offered by any professional home care agency depends on the calibre of the carers it employs. At Reagle, we rigorously interview and hand-pick our carers, so you can rest assured that your home carer is trained, trustworthy and dedicated to their profession. Working throughout Hertfordshire and Middlesex, Reagle carers are criminal record checked with the Government's Disclosure and Barring Service (DBS), are required to provide a minimum of three professional references and undertake continuous on-going training in latest homecare techniques and equipment. We also conduct regular quality surveys to continually audit the standard of care we are providing our clients with. 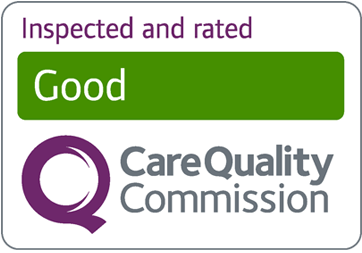 Our home care agency is of course registered with the Government's regulatory body for care service providers, the Care Quality Commission (CQC), and is a member of the United Kingdom Home Care Association (UKHCA) - organisations advocating the highest quality standards for care in the home.